Flesh of fruit is poisonous. See Notes. 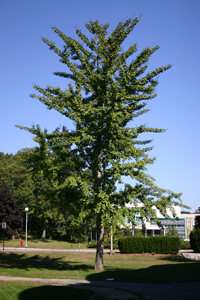 Large, planted deciduous tree with distinctive, fan-shaped leaves. 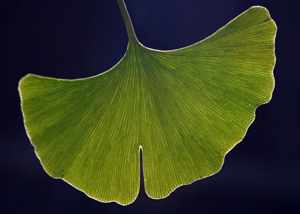 Leaves attached in clusters or alternately. Leaves are light green fading to yellow at the edge. Edge is wavy, veins are parallel, but there is no central vein. Bark is gray. Native to Southeastern China. 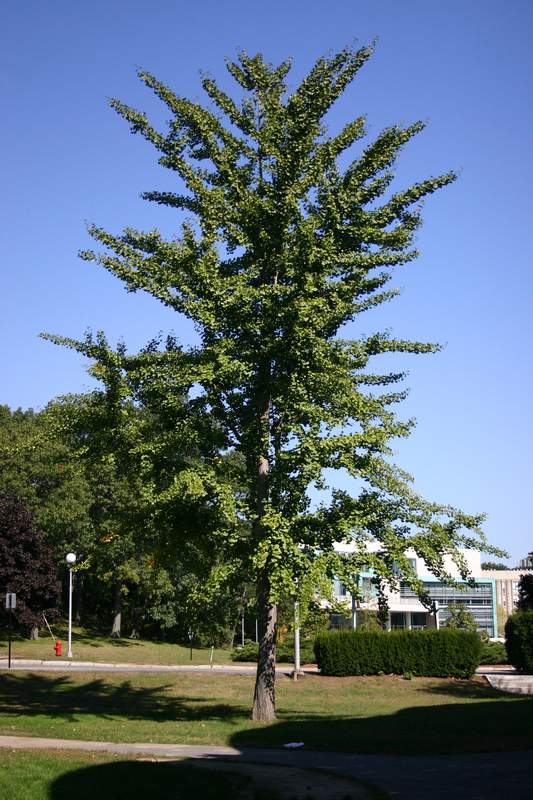 Often planted as a shade tree; rarely found outside of cultivated areas. Seeds are cooked and used for treatment of lung ailments in traditional Chinese medicine. Used externally to remove freckles and sooth sores. 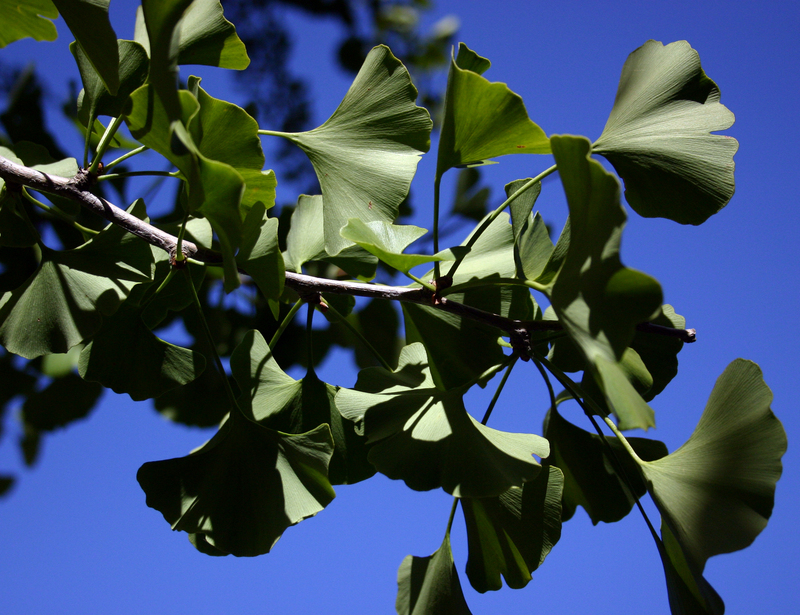 Highly concentrated ginkgo leaf extract ingested to improve circulation to the brain and as an antioxidant. Proven to relieve memory loss and improve mood in early stages of Alzheimer's. Approved in Germany for treatment of memory loss, poor concentration, peripheral arterial occlusive disease, and vertigo. Flesh of fruit is foul-smelling and poisonous. 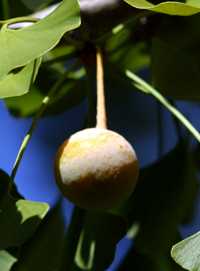 Fruits and seeds may cause dermatitis, and rarely, leaf extracts may cause gastrointestinal pain.